Around dinnertime on Thursday, a shipment of relief supplies from Austin was arriving in flood-weary Texas. What makes that notable is that the shipment left just after lunch. It’s a recovery effort that’s drawing donations from around the country. so it’s only appropriate that a donation from Austin features the city’s most famous product. 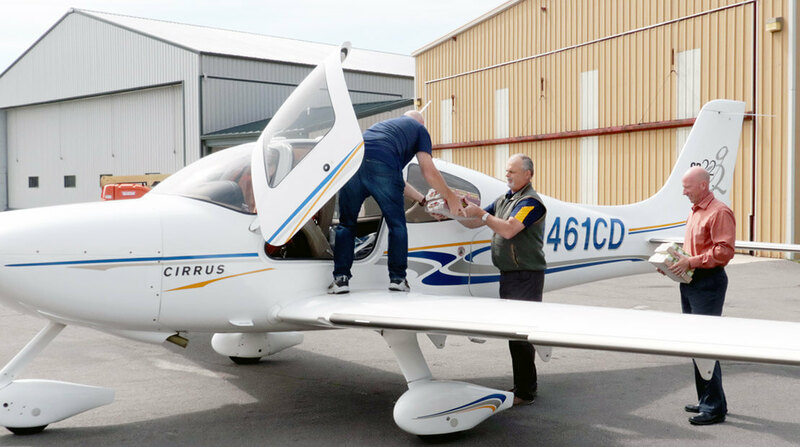 “The SPAM will last and they can move it into areas and they don’t have to worry about it going bad” said Lakeville pilot Louis Olsen, who has a passion for flying … and giving back. So when he started planning a relief mission to Texas, his flight plan included a SPAM stop.